One game official even reported that he began getting harassing phone calls on his personal cell phone. The calls were so insistent that a police officer took the phone and told the caller that he could be prosecuted if he did not stop calling, the Sun’s source said. Several plainclothes police officers were stationed at the second hotel, but no more incidents occurred. The referees checked out the next morning, the paper reported. An NFL spokesman reportedly told the Sun that the hotel switch was only made out of an “abundance of caution” and that no actual threat existed. Meanwhile, repercussions continue to buffet football fans over what many think was a case of failed officiating. 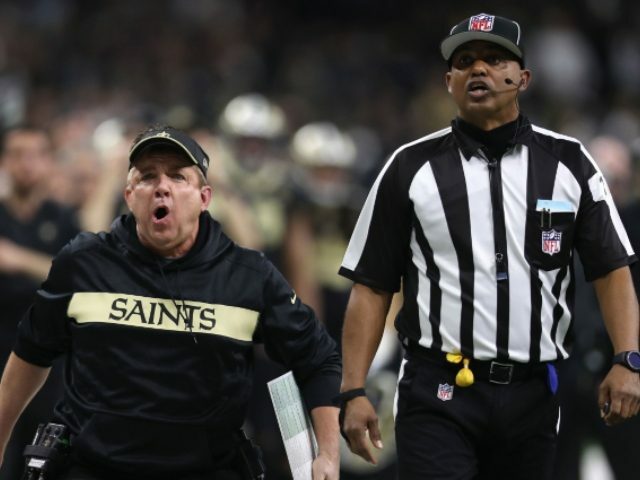 The recriminations for the referees have grown to such a din that New Jersey-based PointsBet sportsbook said it was refunding all bets from Sunday’s NFC Championship game. The sportsbook company announced its “Good Karma Payout” over the missed pass interference call that many say threw the game to the Rams.